Today, U.S. Secretary of State, Rex Tillerson, announced a $60 million dollar pledge in support of a multilateral, United Nations effort in the Sahel region of the African continent. 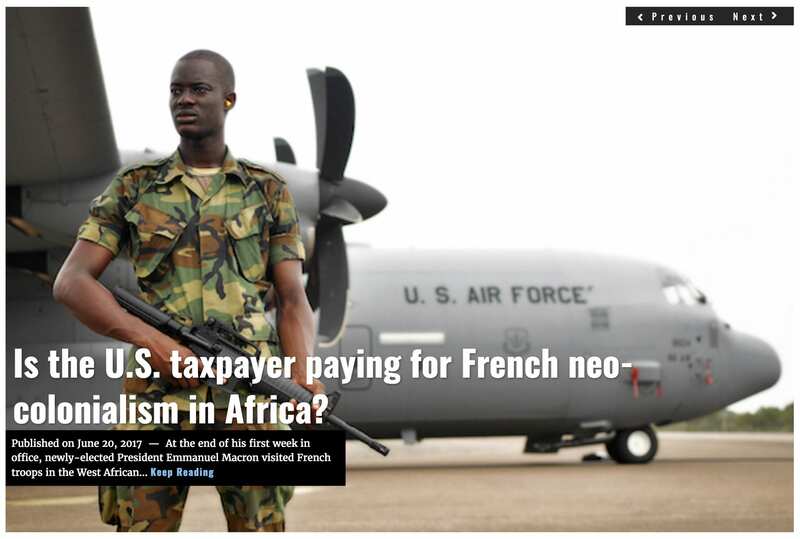 The pledge, of course, requires Congressional approval for funding the G5 Sahel group (G5S). 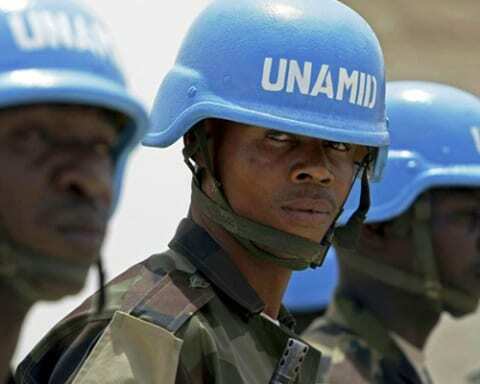 The mandate for the group was set forth in UN Security Resolution 2359 and consists of five African member countries, as well as the African Union, a broad regional coalition of 53 African member states established in 2000. 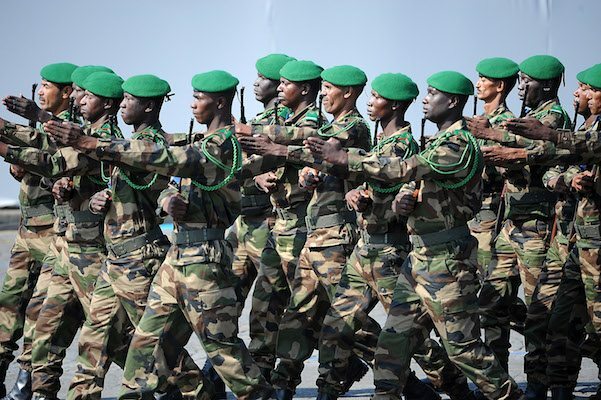 The G5 Sahel Joint Force was created earlier this year, primarily at France’s request, with an eye toward combating terrorism and organized crime in a region that spans from the Atlantic Ocean to the Red Sea. 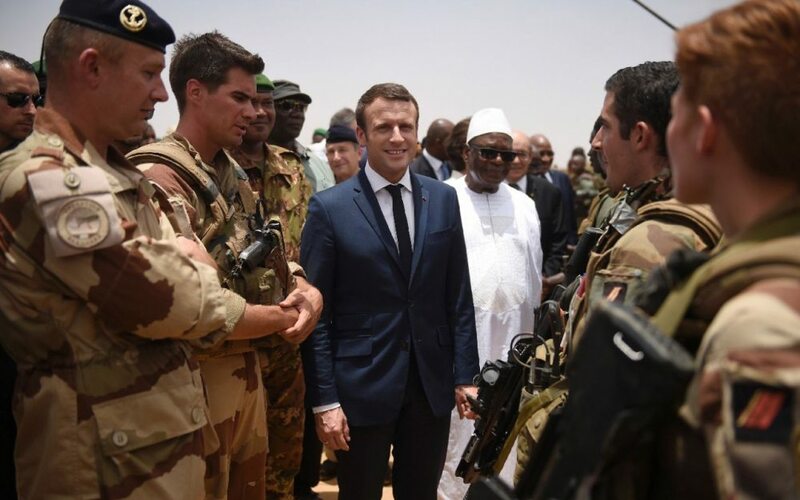 As reported by Lima Charlie News in June, newly-elected President Emmanuel Macron visited Mali, site of the largest French military base outside of France, to assess the continuing role of the French Government and army in the region. As a variety of actors (including the U.S.) have been reducing the so-called Islamic State’s footprint in Syria and Iraq, some are concerned with the potential for an uptick in terrorism elsewhere. The concern is well-founded, as the below table shows. 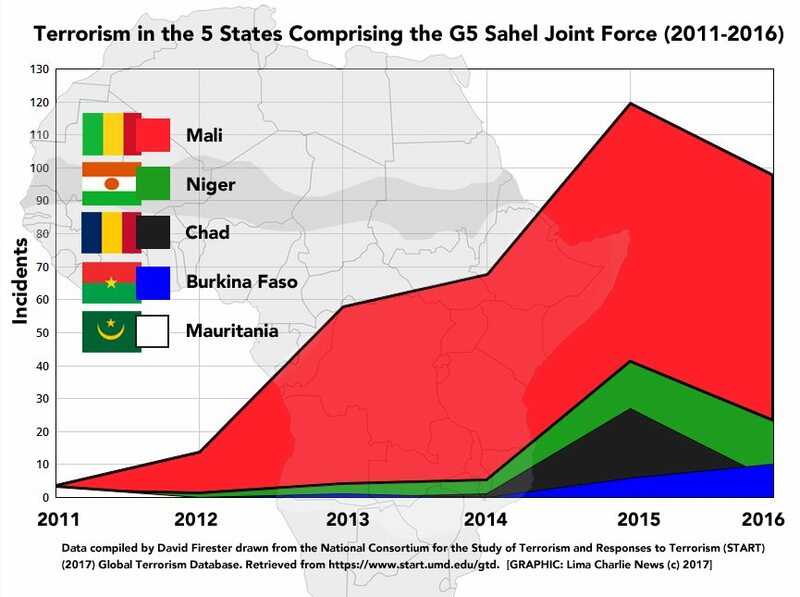 A quick glance at the 2011-2016 data reveals that states like Mali and Niger have suffered from a disproportionate share of terrorism over the past few years. 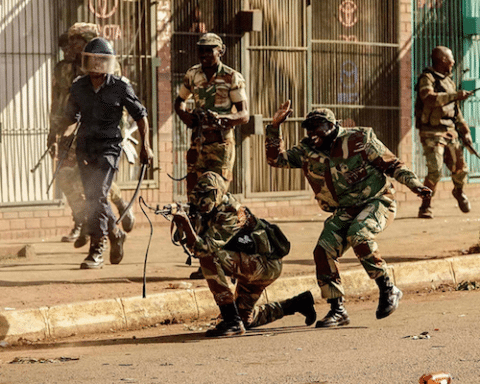 However, there have been occasional upsurges in places such as Chad, which has dealt with a domestic terrorism problem for a much longer period than some of its neighbors. So, who are the culprits? 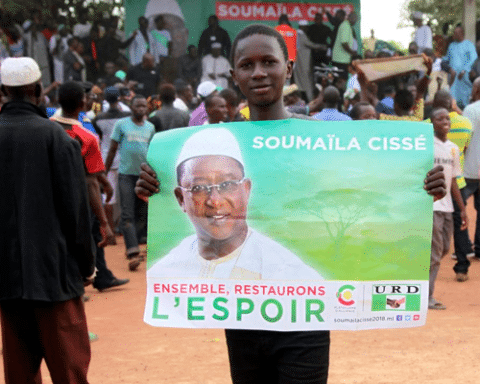 Perhaps it is best to consider the most recent attackers in the two states in which the most recent terrorist attacks have occurred, Niger and Mali. 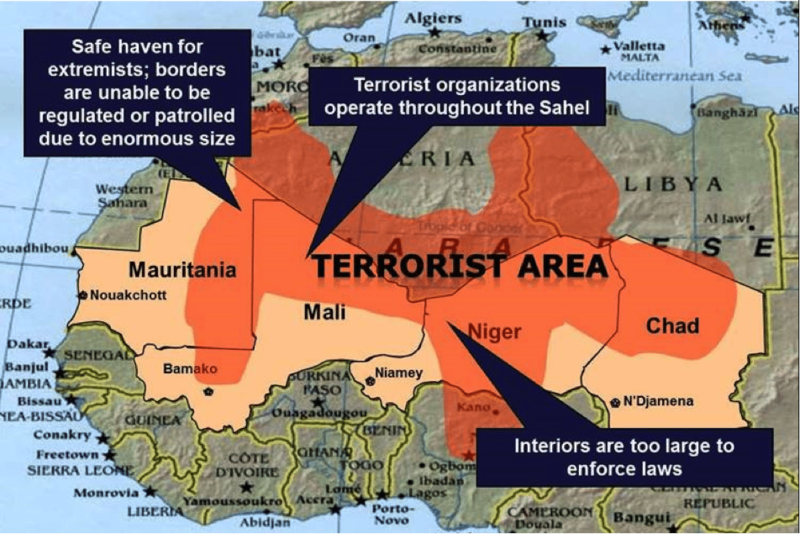 In the past year, the majority of recent attacks in Niger were conducted by Boko Haram (16), followed by the Islamic State in the Greater Sahara (2), the Movement for Oneness and Jihad in West Africa (2), 2 “unknown” attackers, and al-Qaida in the Islamic Maghreb (1). With the exception of 2 attacks, all of the attacks in Niger in 2015 were carried out by Boko Haram. In Mali, the story is a little more complex. 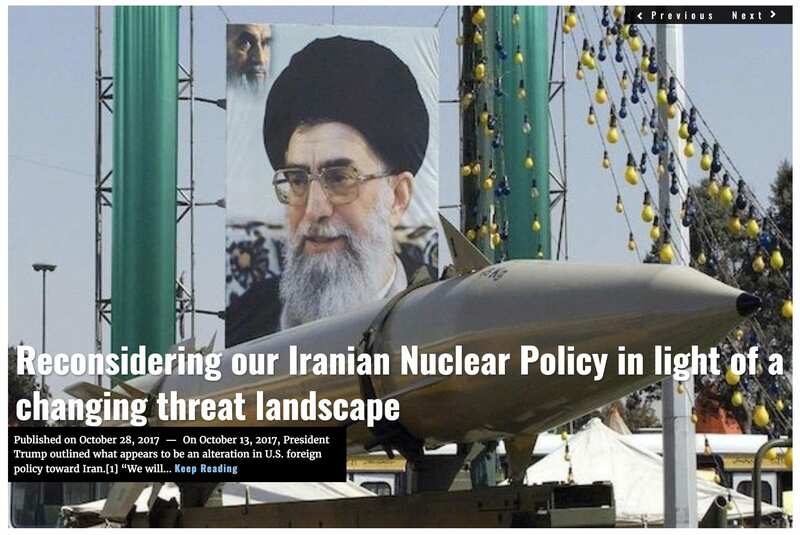 During 2015 and 2016, for instance, a large number of Salaf-Jihadist organizations (and a few nationalist groups) have engaged in terrorist attacks. However, in 2016 Ansar al-Dine, an al-Qaida affiliate, had carried out 36 (approximately 37%) of the 98 attacks in the country. In 2015, it carried out only 10 (approximately 8%) of the 120 attacks. In terms of market share for terrorism, the statistics demonstrate that Ansar al-Dine has not only increased its share of terrorist attacks by about 29%, but its raw numbers have more than tripled in one year. Although much more analysis must be done at the micro level, it is worth considering some of the macro level changes that have occurred in the Sahel region over the past several years. 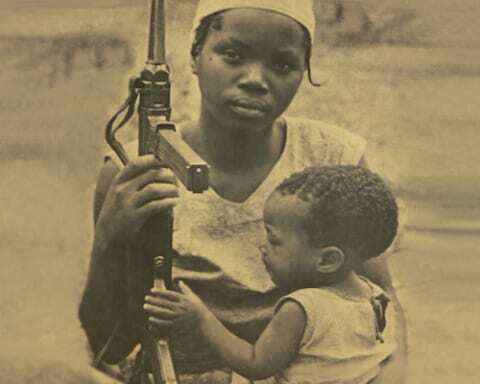 There is much work to be done on the African continent with regard to countering terrorist entities’ future expansion. Other states in the Sahel (such as Sudan), those that lay to the north in the Maghreb, and a variety of other states to the south (e.g., Nigeria) and southeast (e.g., Somalia and Kenya) have all been engaged in fighting similar foes. 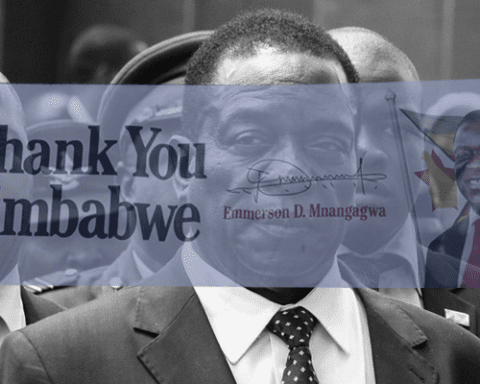 Pledging financial support for an African-led effort with UN sponsorship is one means to further U.S. foreign policy interests. The money, however, must still be allocated by a deliberative body of 535 legislators, who tend toward gridlock. Time will tell if the money will help, but first it has to be assigned to the task.